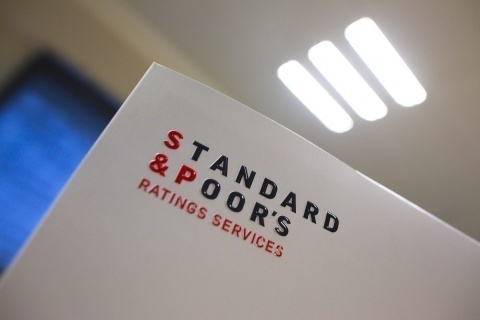 Standard & Poor's ratings agency expects Bulgaria's GDP growth to stand at about 0.5% in 2012 and accelerate to 3% after 2013 as recovery in external demand trickles through the economy. The forecast for 2012 reflects the continued weakness in domestic demand and moderation of previously strong export performance, amid a decline in external demand in particular from the EU, the rating agency said in a statement. Last month Standard & Poor's raised its short-term foreign and local currency sovereign credit ratings on Bulgaria to 'A-2' from 'A-3' based on its recently adopted methodology. The agency also affirmed our 'BBB' long-term foreign and local currency sovereign credit ratings. The outlook is stable. In their latest statement the analysts of the rating agency praised the Bulgarian government for appropriately addressing budgetary deterioration, despite a deep recession, a relatively high budget deficit in 2009, and slow subsequent economic recovery. They expect the government to overperform this year's budget deficit target of 1.6% of GDP and to cut the deficit further in the coming years. As a result, they expect general government debt will be around 17% of GDP in 2012 and decline thereafter. Considering the sovereign's fiscal reserve--established to cover at least one year of amortization and interest payments--net government debt will reach about 10% of GDP in 2012, according to Standard & Poor's. The banking sector in Bulgaria appears well capitalized and able to contain the risks represented by the deterioration in asset quality reflected in the nonperforming loan (NPL) ratio of 16.9% at end-June 2012, the agency points out.